When a person is arrested and convicted of driving while intoxicated in New Jersey, the aftereffects can have a significant impact on their lives. It’s not just the penalties for a DWI that they have to worry about. Depending on the circumstances surrounding the arrest, it could influence their jobs and hopes for future employment. While DWI is a traffic offense and not considered a criminal offense, that doesn’t mean that the penalties are any less stringent and the manner in which it can hurt their future any less severe. When a law enforcement officer investigates a possible DWI, there must be a valid reason for the traffic stop. This can include swerving in and out of traffic or not adhering to a traffic signal. When the officer investigates, telltale signs of drunkenness will be looked for such as bloodshot eyes, the smell of alcohol or slurred words. Then the driver will be asked to take field sobriety tests such as the Walk-and-Turn test and the One-Leg Stand test. After that, the driver will be asked to submit to a breathalyzer test. If the blood alcohol content for a driver age 21 or over registers 0.08% or higher, there will be a DWI arrest. For drivers under the age of 21, the level is 0.01%. For commercial drivers, it is 0.04%. The penalties for a first offense DWI conviction with a BAC of 0.08% and below 0.10% include: a driver’s license suspension of three months; jail time for up to 30 days; a fine of between $250 and $400; the requirement to pay $230 to the Intoxicated Driver Resource Center (IDRC); $75 to the Neighborhood Services Fund; $100 each to the Alcohol Education and Rehabilitation Fund (AERF); and $1,000 per year in surcharges for three years. Higher BAC and subsequent convictions carry with them harsher penalties. Anyone who is working a school job and will be in direct contact with children will be subject to the possibility of being disqualified from their job or applying for the job because of a conviction on certain charges. 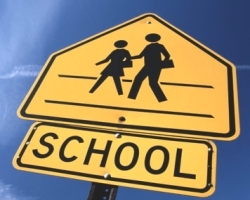 While being charged with a DWI will not immediately prevent a person from getting or keeping a job as a teacher, the circumstances surrounding such an arrest can have an influence on getting a job in a school. 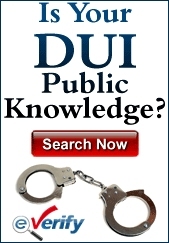 Certain offenses that are often linked to DWI can stop a person from getting a school job. If, for example, a person is arrested and charged with DWI with a minor in the vehicle, this can lead to a charge of endangering the welfare of a minor. Someone who has been convicted of endangering the welfare of a minor will not be able to get a school job. Let’s say, perhaps, a driver who has been drinking tries to escape an officer who is either trying to make a traffic stop or has already made the stop. If this occurs, it can lead to charge of resisting arrest or eluding a police officer and will stop a person from getting work as a teacher or in a school. If the driver is charged with DUI and has been using drugs, it’s possible that there will be drug paraphernalia in the vehicle. This too is a charge that will exclude a person from getting a job in a school. People who have been drinking sometimes do things without thinking or realizing what they’re doing. If they happen to walk into a store while drunk, steal a candy bar and then get into their car and drive, this could count as shoplifting in addition to the DWI and stop school employment. There are many issues that are frequently part of a DWI arrest that will stop a person’s hoped for school employment from coming to pass. When a person applies for a job to work in a school as a teacher or anything else, there will be a federal background check. This check will find any instance of criminal activity that could be grounds for exclusion. If the act was committed in any state other than New Jersey, it’s still possible that it can stop the person from getting the job. A conviction for a first or second degree crime automatically disqualifies a prospective teacher or school worker from getting the job.